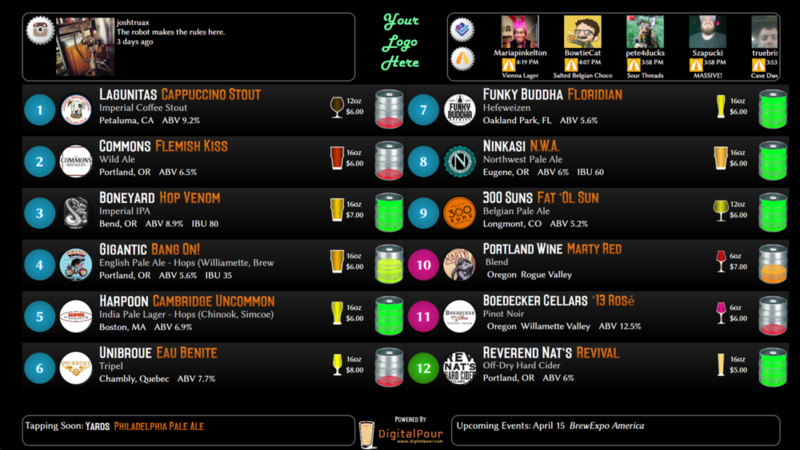 Helping restaurants, breweries, tap houses & growler stations maximize draft sales and profitability with a robust customer-facing Digital Menu driven by a powerful back-end system that integrates with Point of Sale, website, mobile apps and social media. Business Intelligence. The only thing better than beer. The DigitalPour system offers you the ability to view interactive analytic reports, allowing insight into the performance of the beer you serve. The reports can display such metrics as the average time a beer has been on tap, average generated income, and average profits/time on. This information can be group by beers, breweries or beer styles. 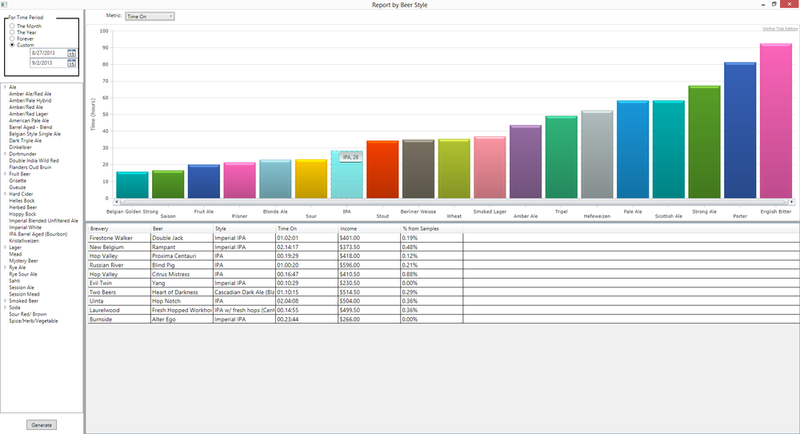 You can view beer sales over time and show how each beer contributes to overall sales volume. Turn your flatscreen TV into a Digital Beer Menu! Simply plug in the computer stick to the HDMI port of the TV to run the DigitalPour Beer Menu Application. Through cloud servers, your menus will update automatically from your computer. Your POS will update real time sales information to DigitalPour.